Owen, 2016, oil on canvas, 14″ x 28″…maybe unfinished. 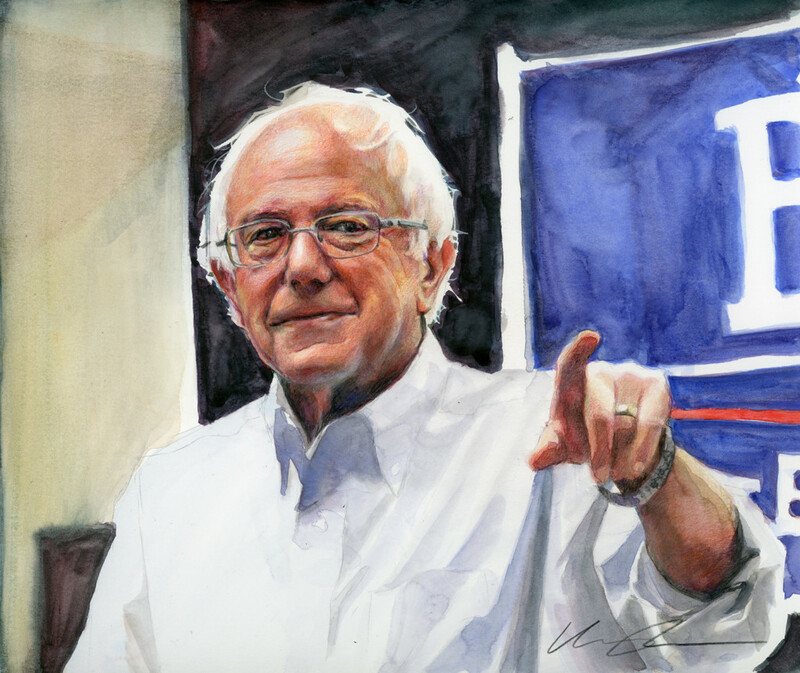 BERNIE 2016!, watercolor and colored pencil, 9.5″ x 8″. Because so much of what I do is generally invisible unless it’s a big project. So here are some little ones…in no particular order. 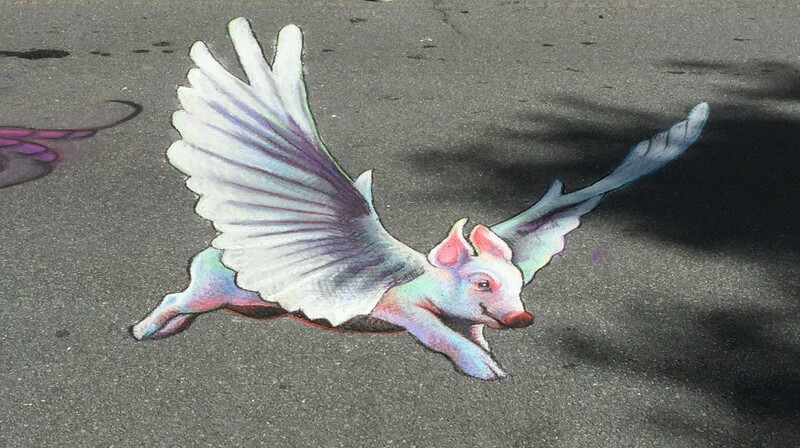 When Pigs Fly, 10′ x 6′, chalk and pastel on pavement, 2015. 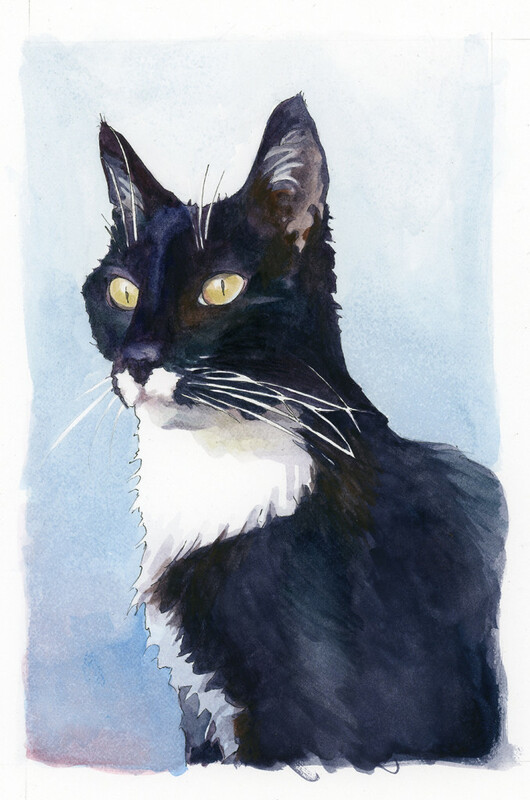 Jeeves, 8.5″ x 5.5″, watercolor and pen on illustration board, 2015. 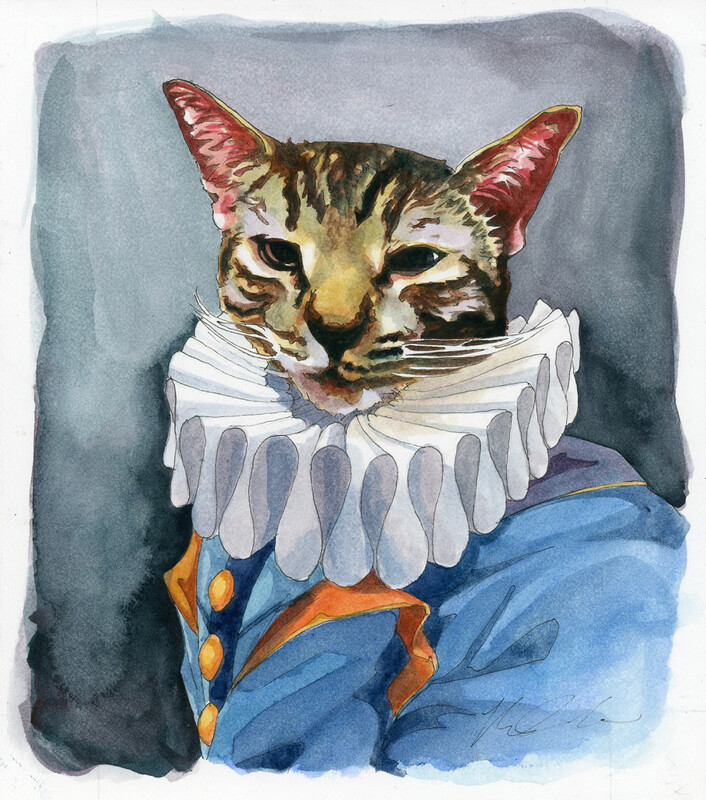 Sir Otis, 6.5″ x 5″, watercolor and pen on illustration board, 2015. 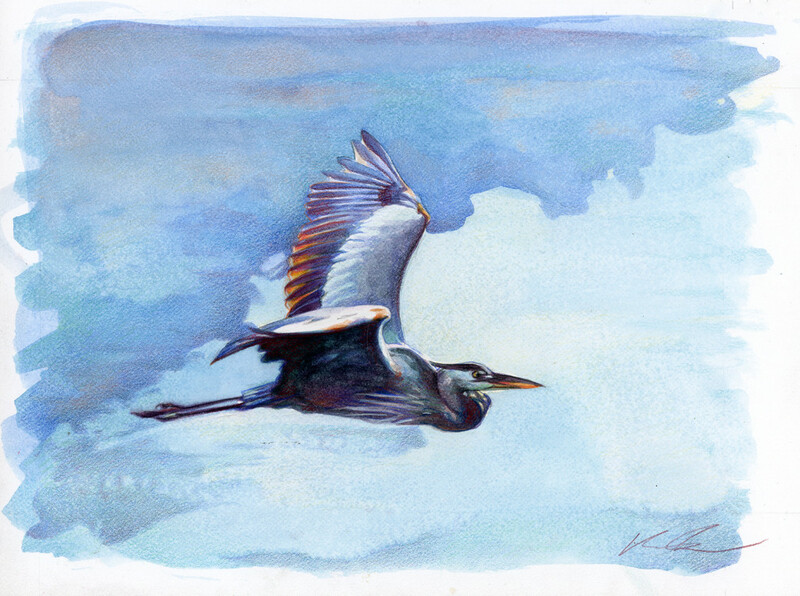 A heron for Becky, approx. 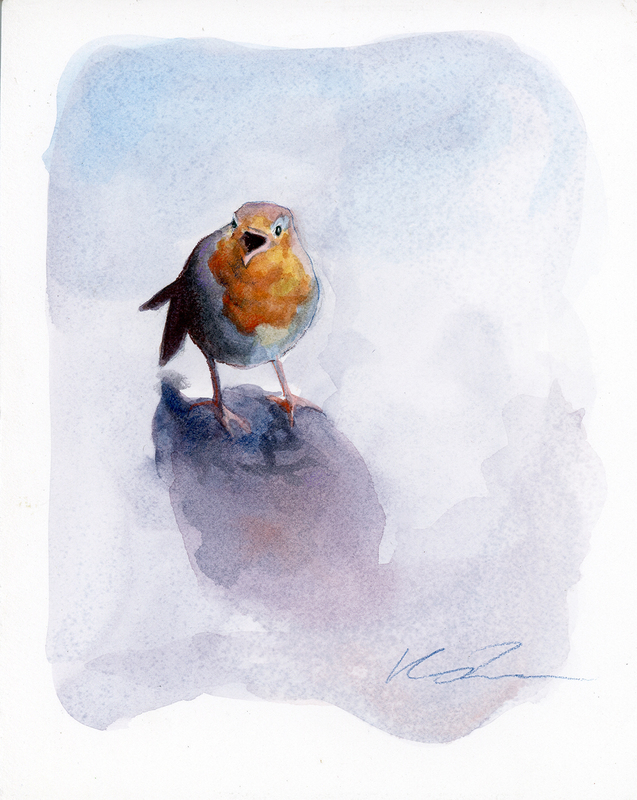 6″ x 8″, watercolor and colored pencil on illustration board, 2015. 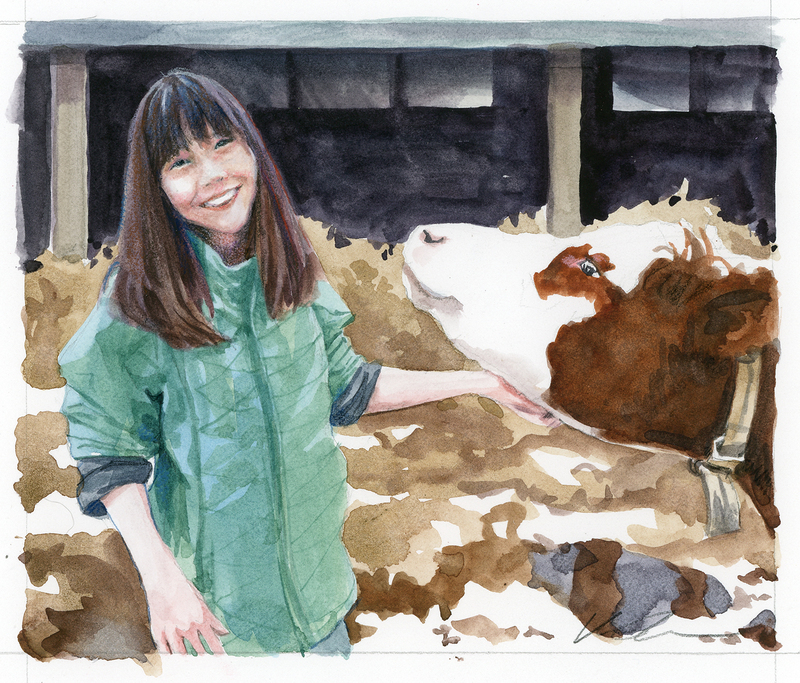 Aiya and Ferdinand, 5.25″ x 6.75″, watercolor and colored pencil on illustration board, 2015. Sassy girl, approx. 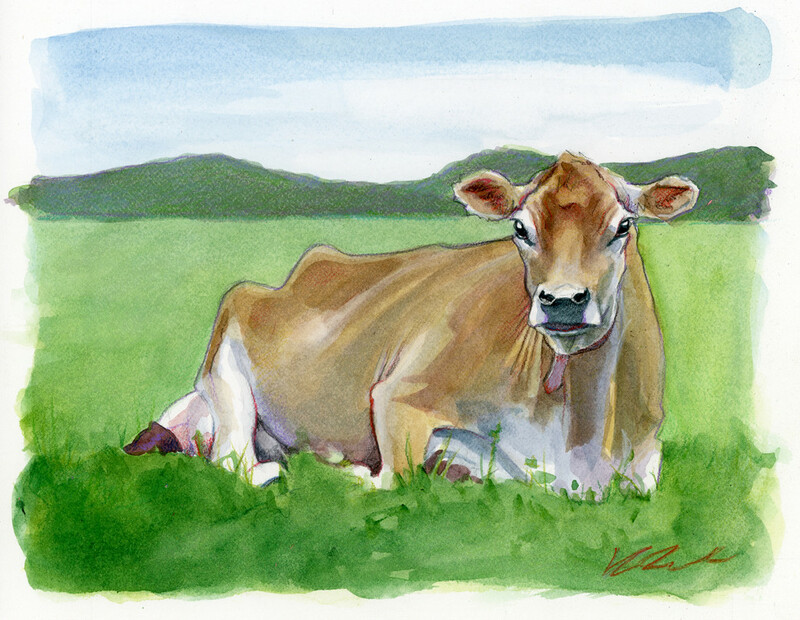 5″ x 7″, watercolor and colored pencil on illustration board, 2015. Euro Robin III, approx. 5″ x 4″, watercolor and colored pencil on illustration board, 2015. Ricardo, approx. 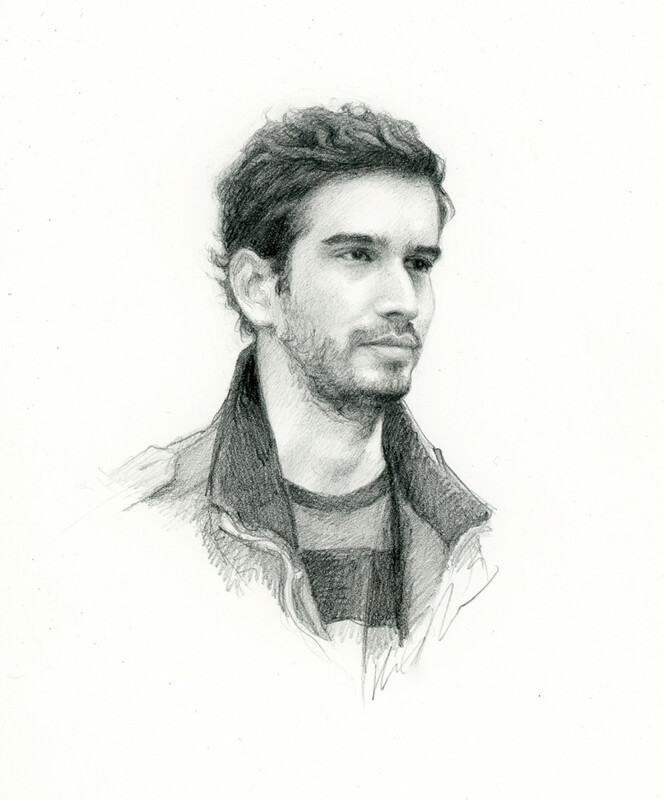 5″ x 5″, graphite, 2015.